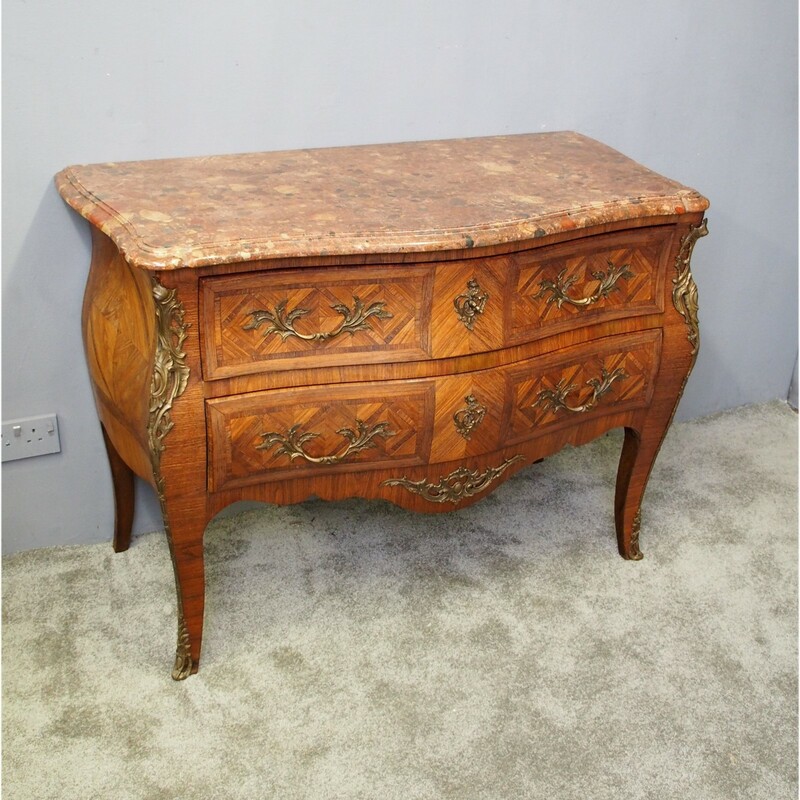 Circa 1860, Louis XV style kingwood and amaranth (purple heart) marble top commode. The serpentine, rouge scagiola marble top has a moulded edge and is above two long inlaid serpentine-fronted drawers with foliate bronze scrolled handles and escutcheons. This is over a shaped skirt with foliate bronze mounts. It is all standing on tall square cabriole legs outlined with ormolu mounts that extend down as sabots.